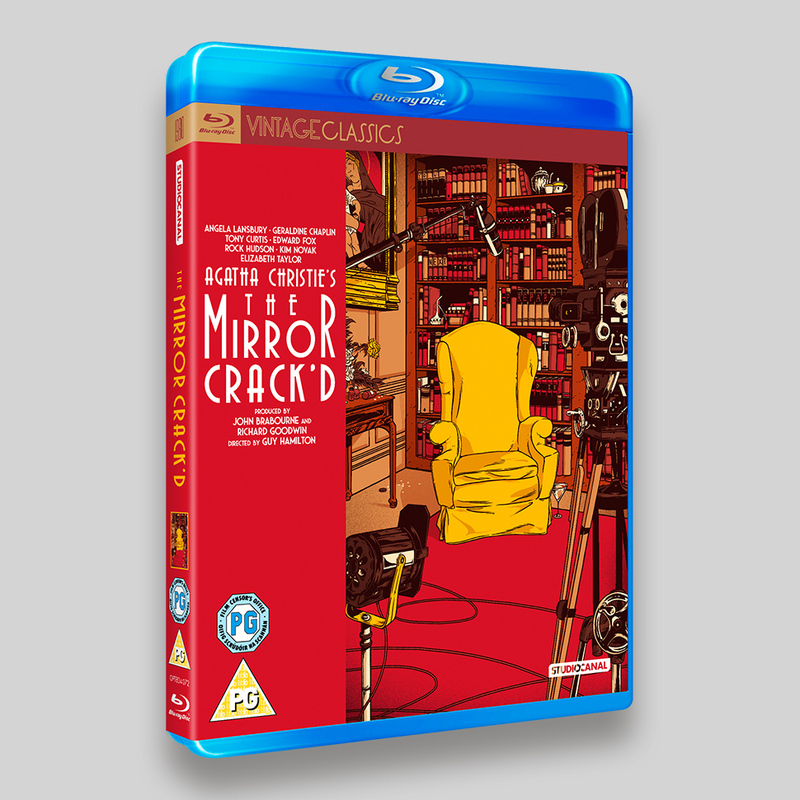 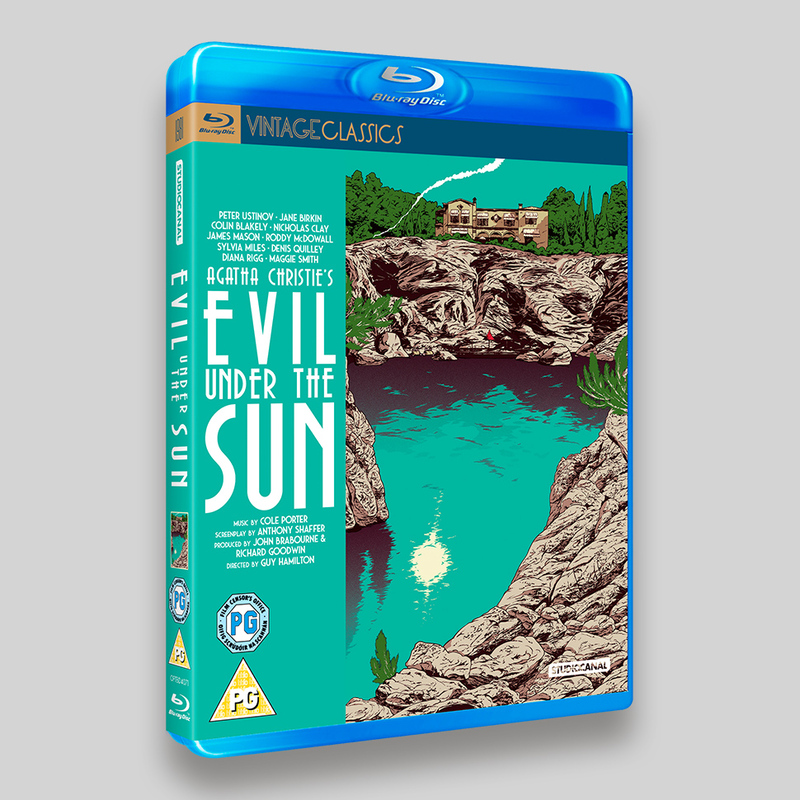 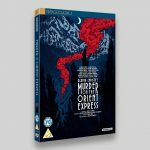 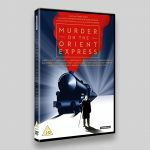 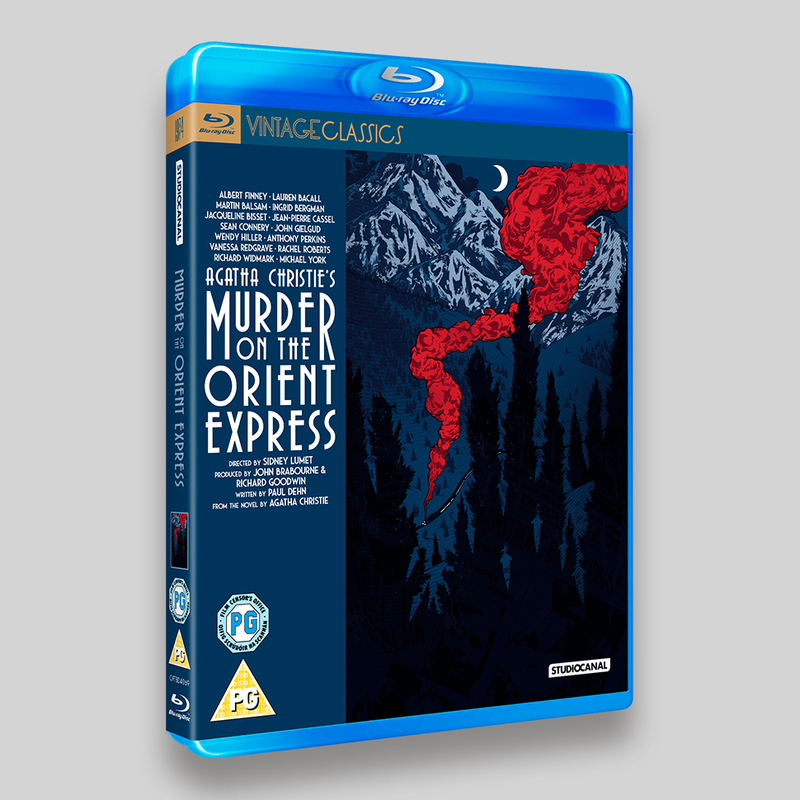 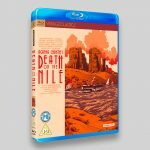 The Agatha Christie Collection from StudioCanal is a set of films, released individually, as Vintage Classics on Blu-ray and DVD. 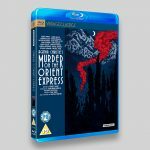 The films making up the collection are Death On The Nile, Murder On The Orient Express, Evil Under The Sun and The Mirror Crack’d. 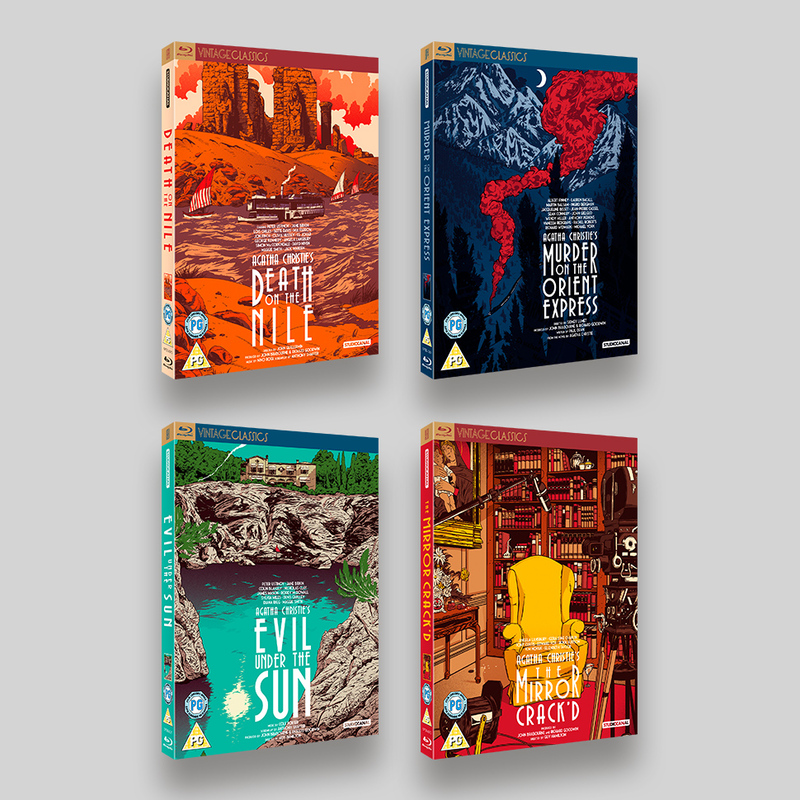 The release of these four films featured the fantastic artwork of Johnny Dombrowski. 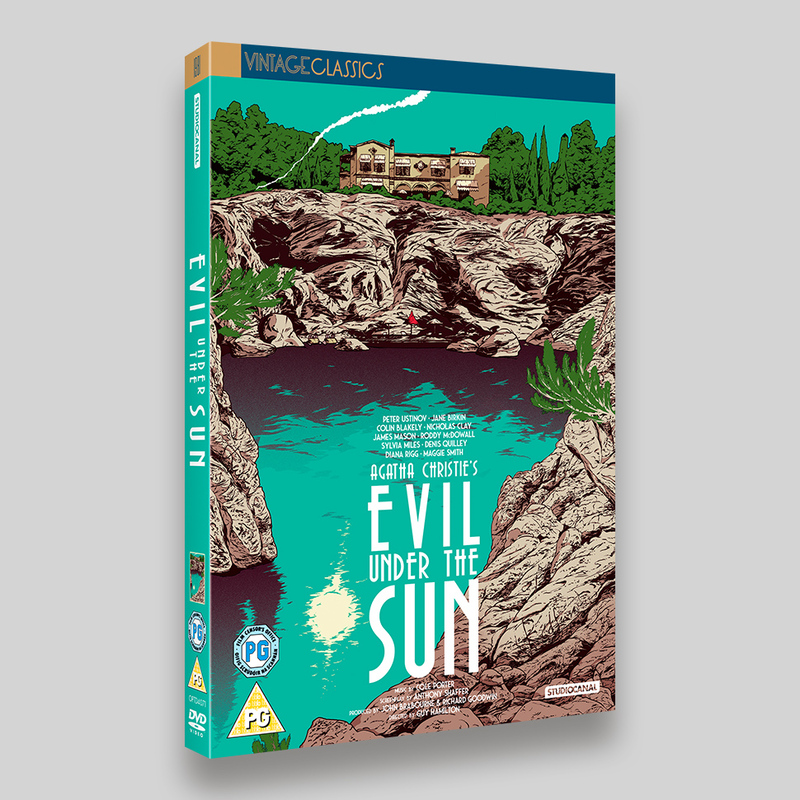 These had been commissioned for the poster artwork celebrating the restoration screenings of the classic films. 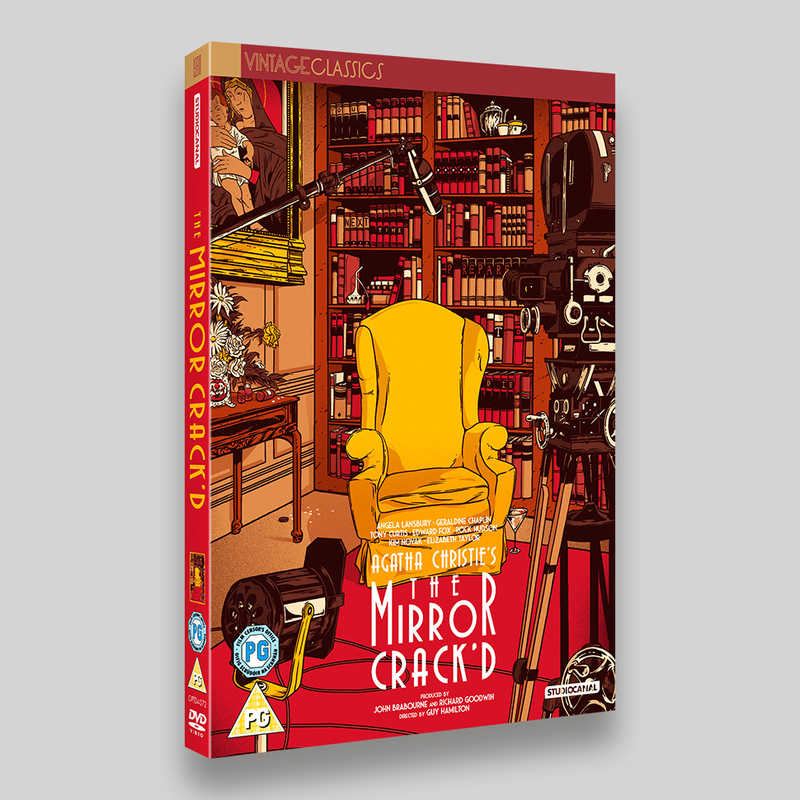 Visually packed with plots clues and hints, the hardest part was figuring out how best to avoid cropping anything out. 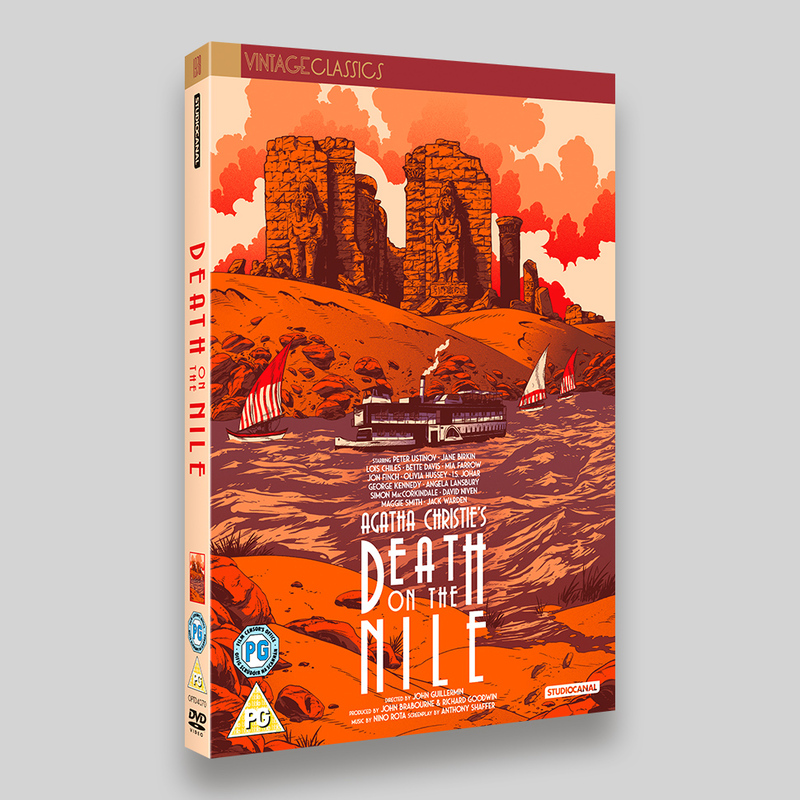 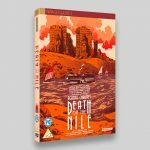 Using the image full bleed would have led to missing some of the image as Blu-ray sleeves are proportionally nearer a square than DVD sleeves, so it was important to include the top and bottom of the posters, to feature the visual references. 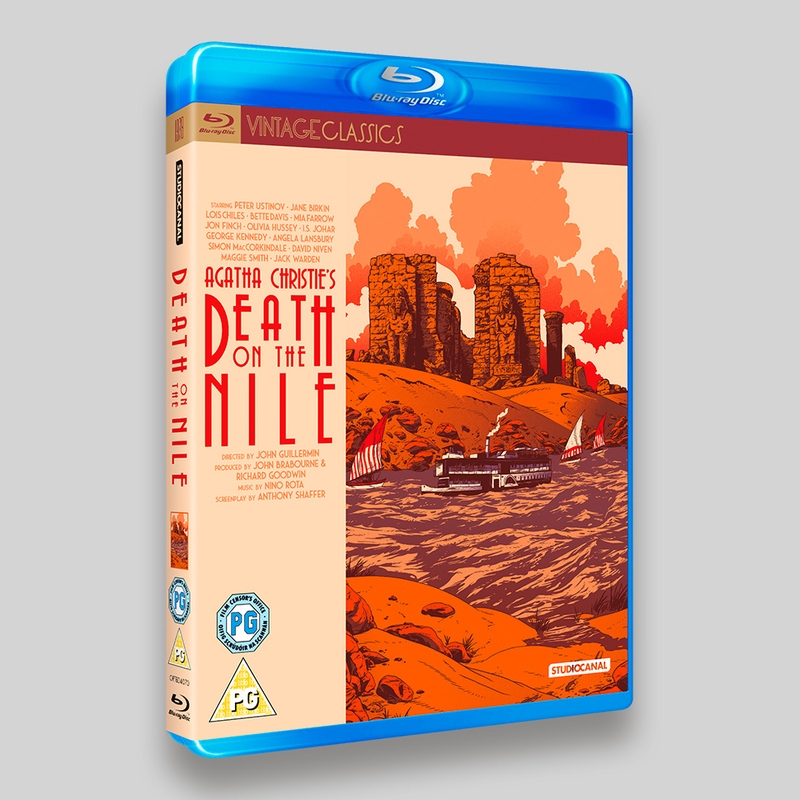 The solution was a containing box for the title and talent on the Blu-ray inlay sleeves, which meant everything was included on all the sleeves, with the bonus of a little bit of variation across the formats. Having worked on Murder On The Orient Express previously (see below) I knew that assets, as ever, were far from ideal. 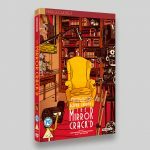 The new images were great addition to the collection, Johnny’s artwork worked wonderfully well, tying in elements of the Art Deco period with the subtle clues offering deeper meaning to the work.